ROCOL Technical Director, Bill Hopkins explains why DETEX is important to our bakery industry. 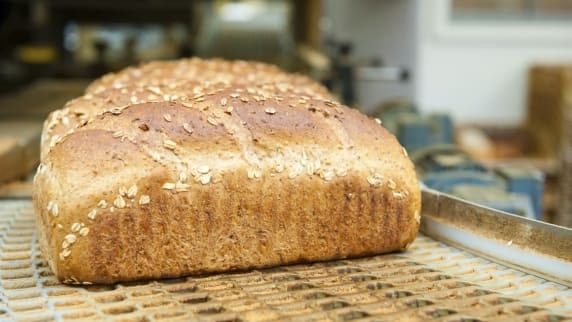 With the discovery of foreign bodies in bakery products responsible for a high proportion of product recalls, taking steps to reduce the risks and ensure audit compliance are a core part of any good bakery management strategy. Bill says that, unlike traditional packaging, all caps and actuators on FOODLUBE aerosols and grease cartridges can be identified using standard metal detection equipment should they become loose in food and drink processing areas. Used in conjunction with the company’s FOODLUBE products, which all carry the NSF H1 registration reflecting an independent assessment that has deemed them safe for use in the production of food and drink for human consumption, the range is playing a key role in food safety in bakeries across the UK.